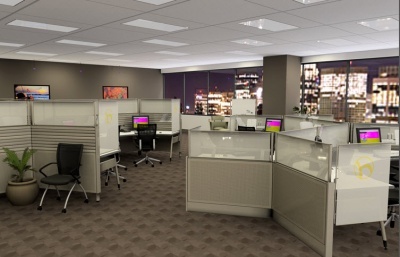 Designers can use Google SketchUp along with ProjectSketch to produce eye-popping 3D images that include panel systems, desks, storage, and seating. The tool also includes a number of helpful utilities for product placement, coping, rotating, moving, and material assignment. The finished .SKP files can be exported to ProjectWorkspace where pricing, discounting, and reporting can be completed. ProjectSketch is a free add-on for SketchUp. This is a fully functional version which comes with a Generic furniture library. Follow the links from the Downloads Page to download the latest version. After installation, use Load ProjectSketch from the SketchUp Plugins menu to load it. ProjectSketch will announce that it is in a Trial Period. This refers to use of the manufacturer specific libraries from ProjectMatrix . 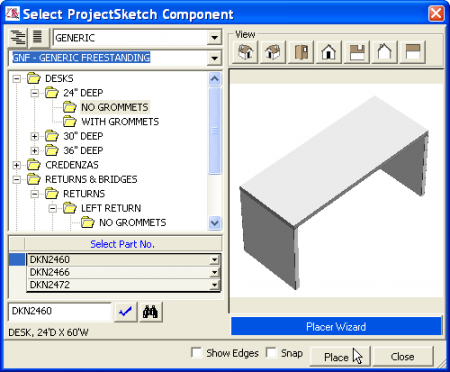 ProjectSketch can be used with the Generic Library as a free product. See: ProjectSketch - Tutorial for more information on how to use ProjectSketch.